Renmore Brownies on a nature trail this year. The Brownies group in Renmore is returning after the summer break and reopening its doors to new members to enrol on Wednesday September 19 from 6:45pm. The Brownies is a girl-led programme for girls aged between 7 – 10 years of age which incorporates a wide variety of activities, with crafts, badge work, team work, selling cookies, indoor and outdoor challenges and they usually enjoy at least one pack holiday away from home during the year. Girls are encouraged to get involved in every activity to the best of their ability in an unpressured environment. Girls from age 7+ can choose to earn a wide range of badges, including community action, cultural diversity, disability awareness, drug awareness, online surfer, science investigator and global traveller. 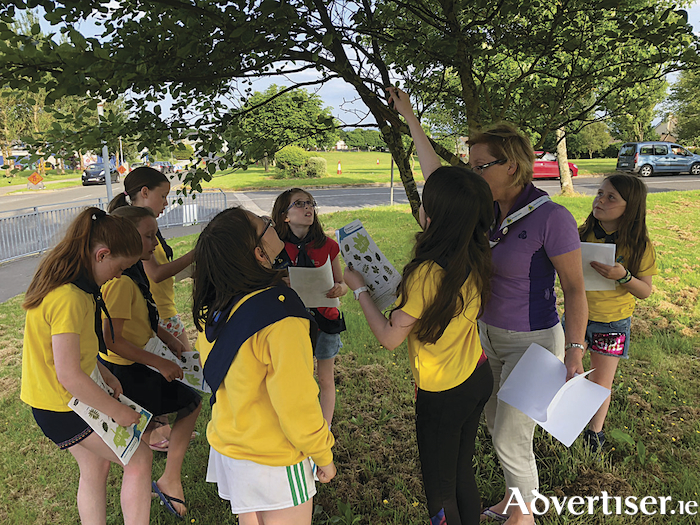 The Brownies are part of the Irish Girl Guides (IGG ) organisation which seeks to equip and empower girls and young women to grow in confidence, independence, and to develop essential life-skills in a safe, non-competitive, fun atmosphere.